Today, brands no longer simply compete against one another. Their primary competition is culture itself. To make an impact, it takes more than just a killer idea. You need content that's timed to perfection, resoundingly relevant and precisely targeted. We are a tight-knit filmmaking collective and intelligence unit, purpose-built to produce creative, effective and engaging content at the speed of culture. Whether you're looking for narrative-driven stories, thought-provoking documentaries or fast-turnaround social videos, #Bolt Film's team of creators includes specialists in all genres and scales of filmmaking. Content comes in all shapes and sizes. Because of this, it can be hard to know who to turn to, to help you bring a unique piece to life. Through #Bolt On, you have access to talented craftsmen who excel at creating a wide range of different content. Every great piece of content needs a purpose. #Bolt Strategy offers dedicated teams to help you devise full-content digital and social strategies, maximise the impact and effectiveness of your campaigns and plan the best channels for your content. For long-term solutions that deliver lasting growth for your business, #Bolt Plus partners you with TBWA and its class-leading communications services. Our in-house filmmakers bring deep production insights to the creative ideation stage, in turn streamlining and accelerating the production process. Through #Bolt's worldwide affiliates, including Flare Studio, you have access to a global network of filmmakers, ensuring that overseas shoots are inexpensive and attainable. Whether we're creating Instagram story content or producing how-to videos, mobile and social behaviour is baked into our approach, ensuring every piece of content sits seamlessly within its intended channel. Our data-informed audience planning and content distribution team use full funnel content planning across channels to serve relevant audiences at the right time and maximise performance. Our filmmaking team brings together award-winning talent from all over the globe, including commercial and documentary filmmakers, event videographers, editors and motion graphics designers. 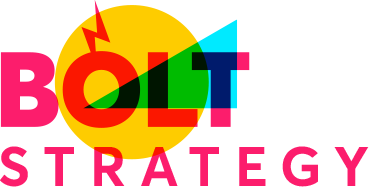 BOLT Intelligence is a team of platform experts and content, data and brand strategists who excel at making content shareable and strategically targeted with the help of automated platforms that pull insights around the clock. Flare Studio is our proprietary online platform offering access to affiliated filmmakers from around the world. To date, Flare studios has more than 11,000 creators, from the UK, US, Canada, Australia, Hong Kong, and wider Asia.